« Zouk happy hour @7Seas! 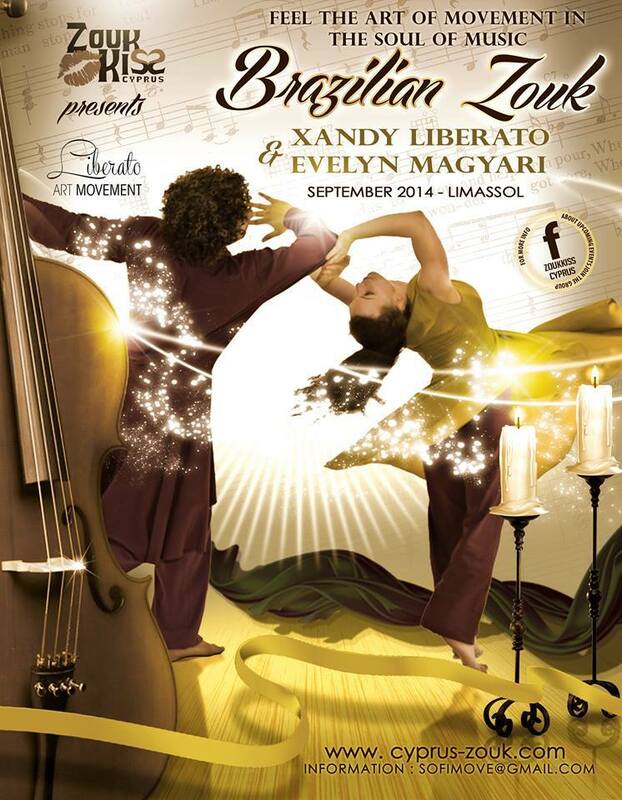 Xandy and Evelyn will be in Limassol, Cyprus from 13-15 of September 2014! Do not miss the opportunity to see the great dancers and teachers in sunny Cyprus! Check the event in Facebook and program for more information. Xandy Liberato from Brazil & Evelyn Magyari from the Netherlands are teachers, dancers and choreographers specialized in Brazilian dance. Nowadays they spend their time traveling around the world teaching workshops and performing in different festivals. The zouk classes given by Xandy Liberato & Evelyn Magyari are for intermediate and advanced students alike. Their main goal is to work on the interpretation of the different zouk styles. They take their inspiration from contemporary dance techniques such as contact improvisation, circle movements, body movements in the shape of the number 8 developed by Jose Lion, centripetal and centrifuge strength, etc. They aim to broaden your musical, physical and anatomical knowledge to give you a better interpretation of the zouk dance. Following this structure, they allow the students to open a window of possibilities that will help them to investigate their own movement and to learn the natural journey of their own bodies. At present, Xandy & Evelyn are based in Valencia (Spain) where they develop their zouk style together” At moment they both representing ” Liberato Art Movement ” a Company specialized in the Brazilian Culture dances mixing with the contemporary dance. By Sofia Andreadou	| Posted in events, news | Both comments and trackbacks are currently closed.